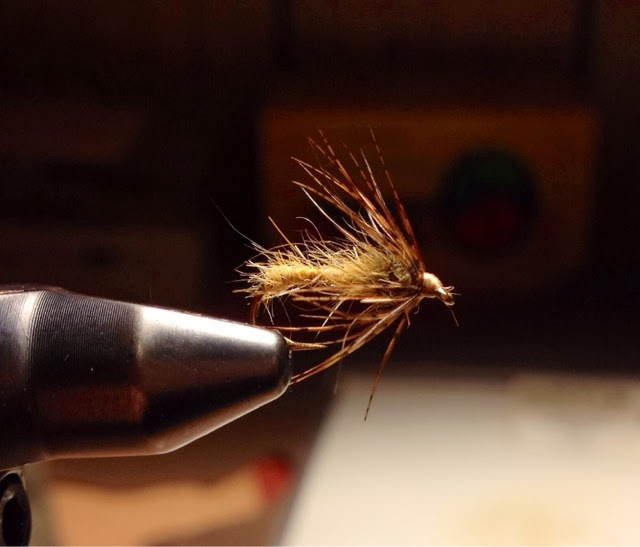 Tan rabbit dubbing and some dark brown partridge makes a great looking soft hackle. On Instagram, this one had a ton of likes as well as comments. I had purchased the body material at fly fisherman's paradise when I fish Spring Creek in State College, PA. This UTC ribbing material is rated for hook sizes #16-20. 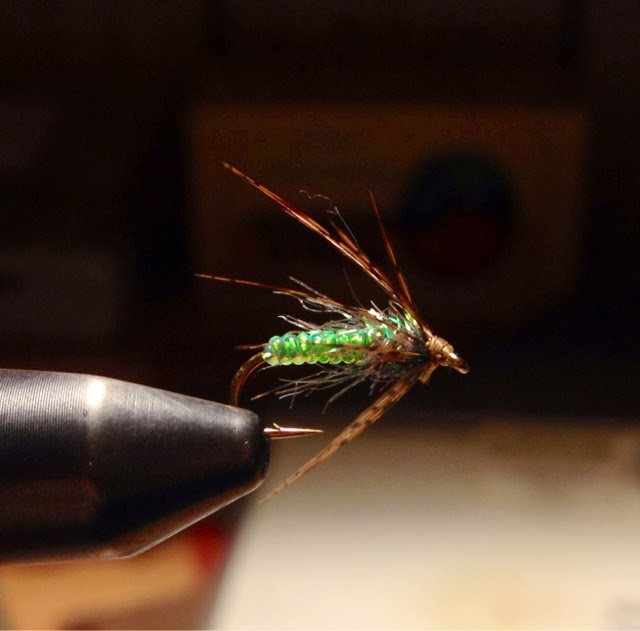 It will be a killer caddis pupa pattern for sure. 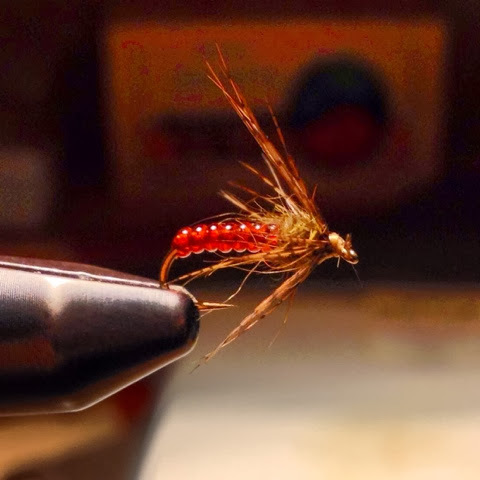 Being a bit lazy and not changing my dark thread over, I had to add an additional step to this fly. I have a chartreuse holographic tinsel tied under the body material. It looks even better in person because it lights up that under body. 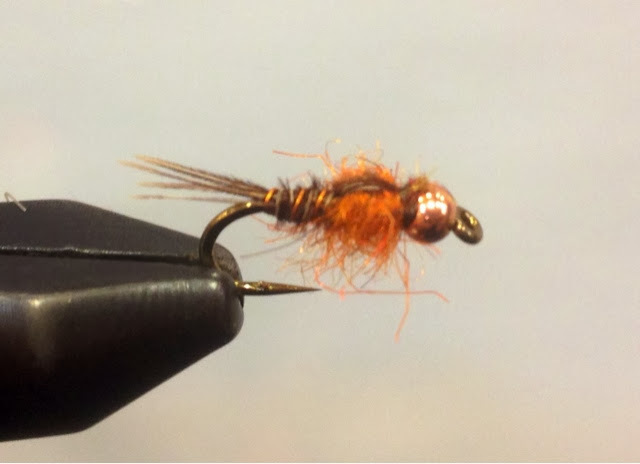 I did rather well before with this pattern for caddis pupa. The only difference was the body. I had created a body out of rolled Antron to create a segmented body. 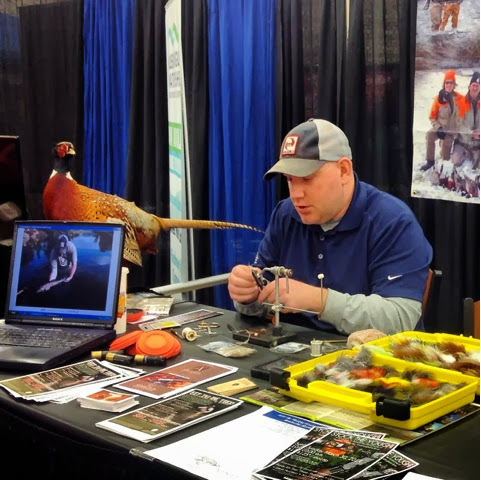 Saturday, I joined Mike Steiner at the Monroeville Convention Center for the Allegheny Outdoor & Travel Show. 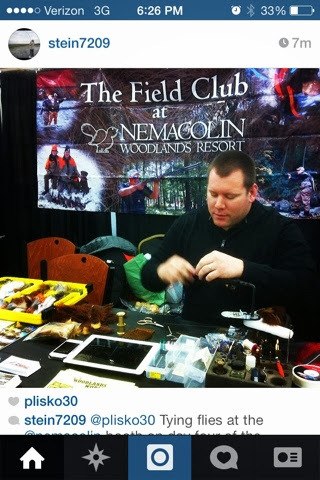 With the recent weather, we had lighter crowds than expected, but being really the only fly fishing guide service as well as a national recognized Sporting Clay facility, we always had people at our booth throughout the event. On a positive note, I plan on opening an online store attached to my blog to sell some of the flies that tie. I had a lot on inquiries regarding the streamers that I had tied. Look for that in the next week. Now that coaching hoops is over, this will be my new focus. 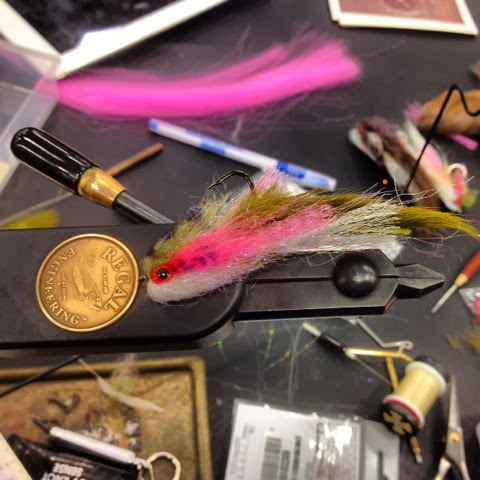 It had it had taken some coaxing on Sunday to get Mike on the vise Sunday, but he was whipping up some of his goto patterns. One example of Mike's tying on Sunday. This looks killer for our freestone streams in early Spring. One of the flies that people really liked at the show was my Rainbow Fingerling Pattern.